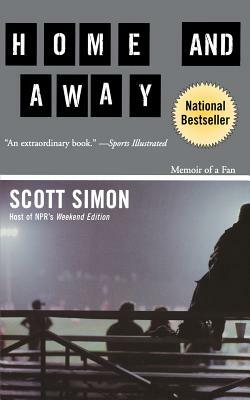 In a beautifully written narrative that runs from childhood to adulthood through times of war and peace, Scott Simon movingly traces his life as a fan--of sports, theater, politics, and the people and things he holds dear. Sports Illustrated columnist Ron Fimrite says of Home and Away, "Rarely do you find in books of this genre a clearer look into mysteries and confusions of childhood . . . moving and often amusing portraits . . . insights into the complex and often corrupt world of Chicago politics, the city being this book's true protagonist. There are compelling scenes from Simon's years as a war correspondent, roving reporter, and political operative . . . There is also an emotional account of Michael Jordan's last championship season with the Bulls that is a book within a book . . .
"The writing is uniformly superb. This is, in fact, a memoir of such breadth and reach it compares favorably with another book that is allegedly about the nature of sports allegiance, Frederick Exley's A Fan's Notes. And that, believe me, is saying something." Scott Simon has won every major award in broadcasting for his personal essays, war reporting, and commentary. He has reported from all fifty states, scores of foreign countries, and eight wars. He hosts Weekend Edition with Scott Simon Saturday mornings on National Public Radio (which the Washington Post has called "the most literate, witty, moving, and just plain interesting news show on any dial") and numerous public television and cable programs.